Any time someone is kind-hearted enough to dedicate their life to helping animals, we think that’s definitely worthy of reporting. This is certainly true of a farmer from Kenya in Africa, who spends his spare time delivering thousands of liters of water to thirsty animals struck by drought. 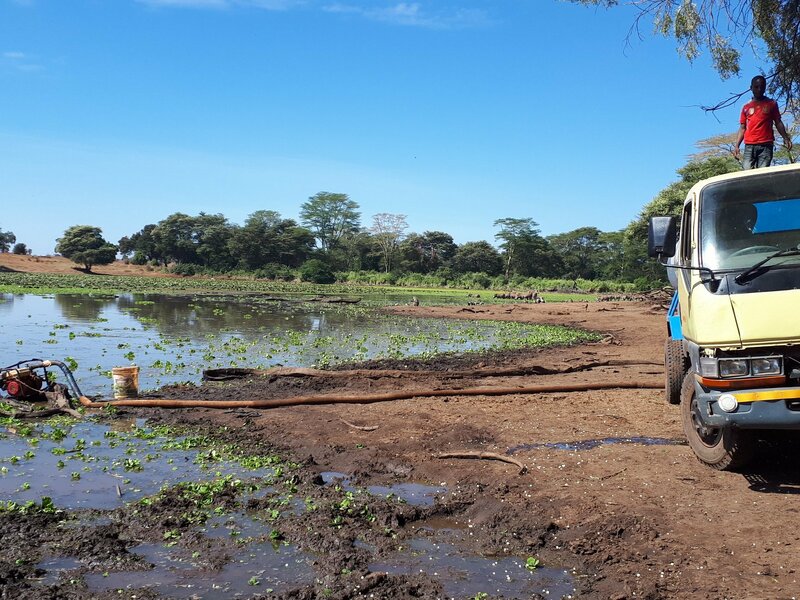 Patrick Killonzo Mwalua, a pea farmer, helps keep animals alive at the Tsavo West National Park in Kenya, a region which has been hit by severe droughts for the past few years. Using a special water truck, Patrick started off bringing in 3,000 gallons of water four times a week to ensure the animals have enough to drink, but in recent times he and his friend Nina Poletti, from Canada, are having to bring even more water to the parched animals – sometimes the pair are having to make daily visits. Since his story first hit headlines back in 2017, Patrick has set up his own foundation for this purpose, so that he can help out even more animals in his country. What a guy! It’s so glad to hear that there are nice humans out there helping these magnificent animals, when in recent years they have had so many problems with poachers trying to hunt them, particularly elephants. 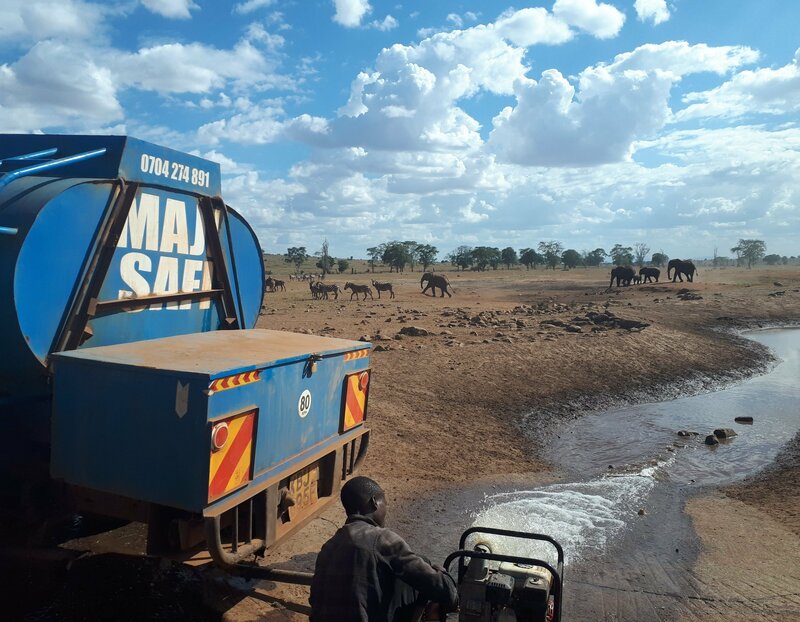 Patrick said that he first got the idea after visiting park during the summer months and seeing how dry it had got, with watering holes completely dried out and nothing for the local animals to drink. Obviously, elephants need to drink some serious volume to stay hydrated, so it was imperative that someone had to help them out. It’s not just elephants that he helps with these water trips – it’s all the wildlife in the area, including zebra, buffalo, and wildebeest. As well as doing his water runs, Patrick also visits local schools to talk about conservation and how the kids can help the country’s wildlife as they grow up. It’s great that Patrick is thinking long-term – after all, saving the environment is an ongoing battle. 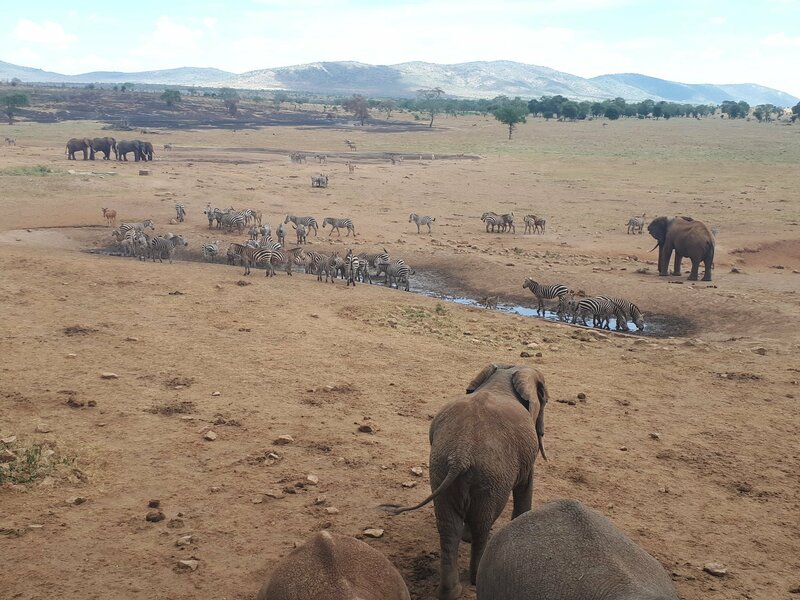 The animals have become used to Patrick’s visits that he says they now anticipate his arrival – on one occasion, he arrived at a watering hole to find 500 buffalo waiting for him, desperate to get a drink. Sharing his incredible work on social media, Patrick is hailed a hero for his efforts and is, quite rightly, praised for all his hard work. The world needs more people like Patrick! You can find out more about his work at http://mwaluawildlifetrust.org, where you can also donate to the cause.